We’ve spent the summer break crafting a new, 18-page extended PC users manual, and we’re releasing it for FREE! The manual covers basics like how to run system backups and keyboard shortcuts, and also features guides on printers, scam safety, ergonomics, and how to care for your system. 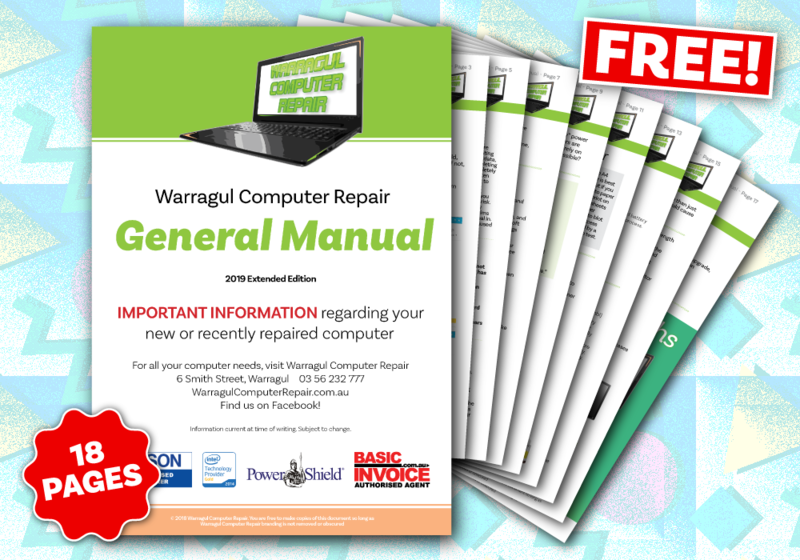 You can download your free printable PDF by clicking here, or drop into 6 Smith Street Warragul to pick up a hard copy.